The Riigikogu passed with 73 votes in favour the statement On the Situation in the Relations between Georgia and Russia (993 AE), submitted by 59 members of the Riigikogu. 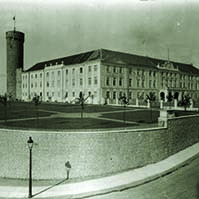 The statement of the Riigikogu contributes to the strengthening of democracy in Georgia and condemns the attempts by the powers of the Russian Federation to suppress the endeavours of Georgia by means of economic sanctions and threats by force, and calls Russia to restore normal diplomatic relations. 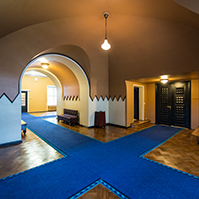 One member of the Riigikogu voted against the statement, nobody abstained. 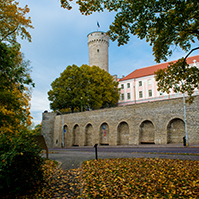 The Riigikogu rejected at the first reading the Draft Resolution of the Riigikogu On Making a Proposal to the Government of the Republic (911 OE), submitted by the Social Democratic Faction. 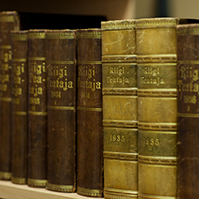 43 members of the Riigikogu voted against the Resolution and 14 members of the Riigikogu in favour of it, 1 abstained. 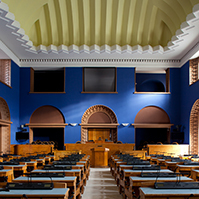 The first reading of the Bill on Amendments to the Constitution of the Republic of Estonia (974 SE), initiated by 86 members of the Riigikogu, was concluded. 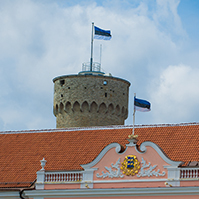 The purpose of the Bill is to make amendments to the Preamble, highlighting and attaching importance to the meaning of the Estonian language as the bearer of the Estonian culture and national identity. Due to the end of the working hours of the sitting, the deliberation of the Bill on Amendments to the State Family Benefits Act and Associated Acts (896 SE), initiated by the Res Publica Faction and Isamaaliit Faction, was adjourned. The first reading of the Bill will be resumed tomorrow, at the sitting beginning at 2 p.m.